Bharati Ghosh in a file photo. 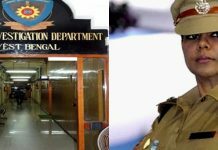 Siliguri: Bengal CID has arrested a police inspector on charges of supplying confidential documents to former IPS officer Bharati Ghosh, who joined the BJP recently. 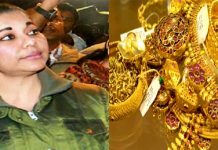 Ghosh had been charge-sheeted by CID for alleged extortion from a trader in West Midnapore district when she was she was the superintendent of police there. There is also the allegation against her of possessing unaccounted for wealth. After being on the run for about a year, she got a stay on her arrest by moving the Supreme Court last year. Ghosh secured the stay after she furnished in SC mobile call detail records (CDR) of CID and police officers and alleged that she was being deliberately framed for extortion. Although this happened a few months ago, Bengal CID became suddenly active on the matter after Ghosh joined the saffron party in Delhi recently. They started digging deep as to how the former IPS officer, who was on the run, managed to get the CDR. The investigation led them to Pradip Rath, a police inspector posted in the office of the Alipurduar SP in north Bengal. Rath was the officer-in-charge of Belda police station in West Midnapore when Ghosh was the SP there. He allegedly obtained the CDR from mobile telecom companies by using the official e-mail ID of the Alipurduar SP and then passed on the same to Ghosh. The revelation made the CID arrest him from Alipurduar SP office yesterday 8 February night. Rath has been booked under Indian Penal Code sections 120B (conspiracy), 167 (forging documents), 168 (unlawful trade by a public servant), 217 (disobeying law), 218 (making incorrect records), 409 (criminal breach of trust), 468 (forgery) and, 471 (presenting forged documents as genuine). Relevant provisions of the Information Technology Act and the Indian Telegraph Act have also been invoked against him. Rath was today produced in the Alipurduar district court, which sent him to nine days in police remand. This is the second time that the police inspector has been arrested: CID had arrested him last year in the extortion case in which Ghosh is an accused. He was released on bail.